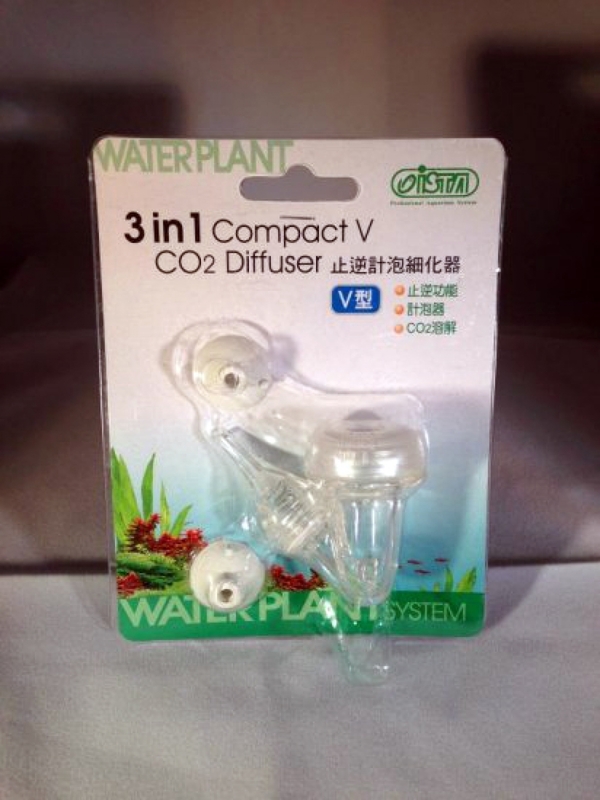 CO2 diffuser contains a bubble counter, reflux valve and diffuser in just one unit. The bubble counter enables easy and accurate CO2 dosage, since it is easy to count the big bubbles inside the chamber during adjustment. A reflux valve prevents the aquarium water from being sucked backwards, which is possible when the bottle gets empty, or in case you use a magnet valve to turn off the CO2 supply during the night. TIP: in order to ensure perfect adherence to the glass, make sure that the glass is clean and grease-free; apply an ultra-thin layer of Vaseline on the suction pads to ensure adherence.